Four-time World Superbike champion Jonathan Rea will bid to finish the season with a flourish this weekend in Qatar as he closes in on more record-shattering feats. The spectacular desert venue hosts the only round of the series held under floodlights at the Losail International Circuit, where Rea can set a new record for the most victories in a single season. World Superbike champion Jonathan Rea is on a run of ten straight wins heading into the final round of the championship in Qatar. 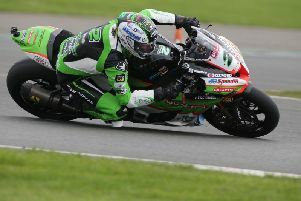 He has won 16 times already this year and is currently on a run of ten successive victories, breaking the previous record of nine triumphs in a row held jointly by Colin Edwards and Neil Hodgson. Rea is also bidding to break his own championship record of 556 points, which he set on his way to his third title in 2017. The Kawasaki rider said: “The last round is coming and I am very excited about it because it is one of my favourite circuits – favourite events, to be honest. The evening event features a more laid back approach from everyone. “It is a round I look forward to taking my family to because during the day we get to spend a little bit of time beside the pool, before going out to do the job. Losail is a great track, very flowing and it should suit the nature of our bike,” he added. Kawasaki's Jonathan Rea can set a new record of World Superbike victories in a single season as the championship reaches a conclusion this weekend in Qatar. “Argentina was an amazing weekend but also very tough because I got really sick and took a few days to get over that. I have been out on my KX450 motocross bike since then and I am feeling pretty good now. The opening race will take place on Friday at 17:00 BST, with the 2018 championship concluding with race two on Saturday.